Thank you for volunteering your time for code education. Our event is on Saturday, June 3rd 217 from 2 – 4pm and we are holding a mentor/volunteer training session beforehand at 1:30 – to ensure that mentors are somewhat prepared for the 2 hour coding session to follow. In this activity, students will imagine that they are Chris Hadfield remotely controlling the Canadarm 2 from on board the International Space Station. Students will use computational thinking processes (breaking down a problem, looking for patterns, developing algorithms) and their prior coding experience with Scratch to create a simulation in which they become the controller of Canadarm2 to put a new module on the International Space Station. 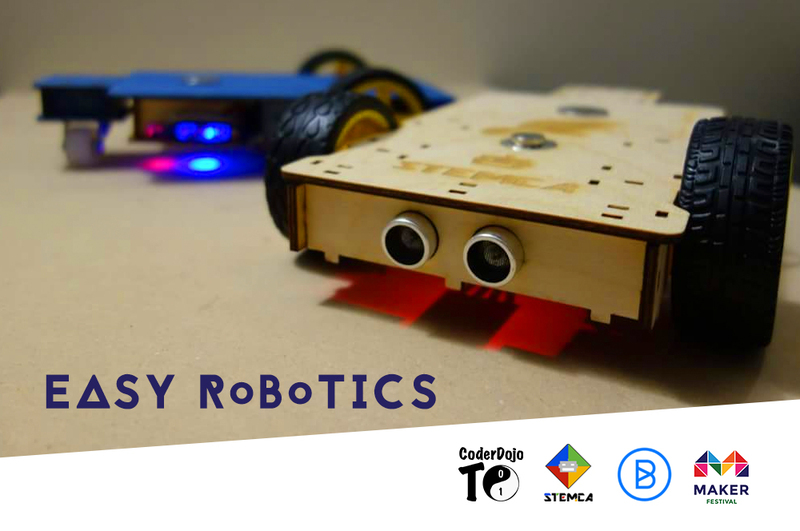 On Sunday, June 19th 2016 at Bitmaker in Toronto, CoderDojoTo will be partnering with STEMCA to provide a fun introduction to robotics. This event is a Maker Festival Toronto satellite event. The main requirement to use STEMCA Inventor is a laptop with Firefox or Chrome (OS doesn’t matter) and Android tablet/phone (Bluetooth is also required on the Android device, for controlling the robots). We will have robots for participants that choose to do the robotics projects can try them on the spot. There would be also voice and image recognition based projects that will not require a robot, so the participants can continue to work on them at home after the event. We will also have robotics demos to inspire future projects, and an Oculus VR for VR applications (which is growing very fast in popularity). STEMCA Inventor platform combines open source + commercial hardware components based on Arduino, Raspberry Pi, Lego Mindstorms EV3/NXT, Neato, MBot, etc (more coming) with powerful Android mobile development in an advanced and easy to use form with affordable components to empower anyone age 8+ to become inventors and/or teachers and contribute to the advance of science, technology and engineering for a brighter future. CoderDojo is a free computer club for kids, which started in Ireland in 2011 and grew quickly into a global community of over 875 clubs operating in 65 countries. Starting 2013, CoderDojoTo remains the only consistently active CoderDojo group in Canada. We work within communities to provide free computer workshops in fun learning environments – breaking down barriers, challenging social and economic stereotypes, and empowering youth to shape their world through code. Computing is an increasingly important form of literacy. Code is part of a booming industry, with a growing skills gap. There are more tech jobs in Canada than there are qualified candidates to fill them. Code will be used to help solve global problems. Unforeseen employment opportunities will continue to be created with code. Code is good for your brain – whether it’s solving a problem for a personal indie game or building the next big industry. How can we fix this gap? It is our vision that every young Canadian has the opportunity to learn to code. We hear from teachers, students, and community organizations who want to start a code program but lack resources and training. To combat this, we have packaged our full-colour paper lesson plans into curriculum kits and are working with schools and libraries across the GTA to support their goals of starting their own computer literacy programs. This special event is part of Toronto’s Maker Festival. We will be working with STEMCA to bring students a guided robotics workshop. YOU MUST REGISTER AT EVENTBRITE TO BE GUARANTEED A TICKET TO THIS EVENT. CoderDojoTo’s mission is to introduce young people to the joy of computing. We provide a fun learning environment for students and parents alike, breaking down barriers, challenging social and economic stereotypes, and empowering youth to shape their world through code. Not technical? You can still help out! Get in touch to see where you can lend your talents to join the community supporting the CoderDojo initiative! 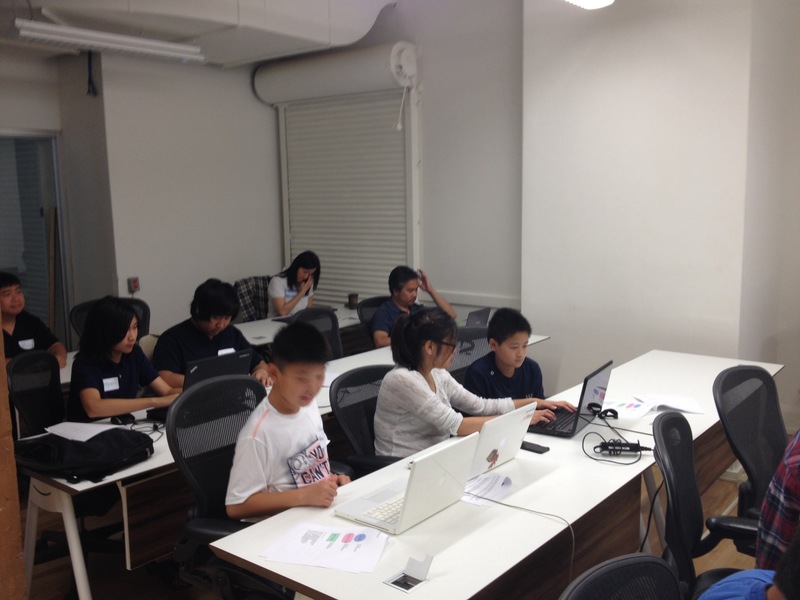 *CoderDojoTo is held at Bitmaker Labs, a code academy for adults. It is located up a small flight of stairs. Wheelchair access is unfortunately not available at this time. CoderDojoTo is hosting our first Programming Track Hack-Night on February 5th. The evening runs from 7pm – 11pm EST (come and go as you must). We will follow a loose structure to allow for ideation and creation of objective based learning packages. The goal is to build up curriculum by producing a wide range of info card packages to share with the global Coder Dojo community. This event is open to parents, mentors, coders, educators, librarians, press, and everyone else who would like to contribute to build out learning resources for all CoderDojo groups to use. All are invited, please RSVP in advance. Register at Eventbrite or on Meetup. Or join the Google+ Hangout if you’re out of town! Dojo Sushi is a method of communicating programming concepts which is suited to the CoderDojo environment. Concepts are communicated in easy-to-digest, bite-sited chunks (hence Sushi). Dojo Sushi is delivered on double-sided laminated cards known as Sushi Cards. One card = one concept. Coders, caretakers & mentors are encouraged to fill out this feedback survey to help us better understand what our student community needs & wants to learn. Starting in 2015, CoderDojo Toronto is moving to an objective based session format, aiming to welcome and challenge students across multiple sessions. Students will work through a set of activity cards to the creation of ‘My First Website’. If you know what you want to build a site about, what will it do? What pages will it have? Who do you want to see this site? Do you want people to be able to contact you from the site? How should visitors of the site feel? Do you want the visitors to complete an action on the site? We are looking forward to mentoring you as you create your first website. *Bitmaker Labs is a code academy for adults. It is located up a small flight of stairs. Wheelchair access is unfortunately not available at this time. Visit coderdojoto.com to download supplementary resources for use at home. Contact hi+toronto@coderdojo.ca with any questions about accessibility or if you have any questions about our session resources. In this session, we will have a variety of exercises to teach Scratch, a great educational tool for teaching simple programming concepts to young learners. Beginners can start out with an activity that teaches how to program some simple mini-games in Scratch. 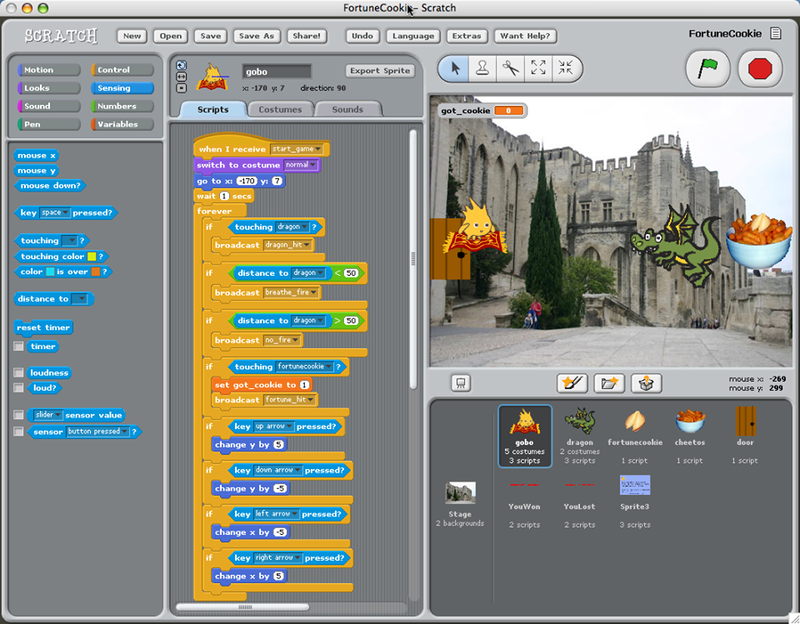 The first game includes step-by-step instructions on how to make a simple game and tries to familiarize you with how Scratch works. The other games are designed as exercises with just a general description of what you need to program in order to make the game work. In the exercise handouts, the circles above each section show how hard the material is. The “Try It” sections are optional. If a “Try It” section is too hard, you can skip it and still end up with a working game at the end. *Bitmaker Labs is a code academy for adults. It is located up a small flight of stairs. Wheelchair access is unfortunately not available at this time. Visit coderdojoto.com to download supplementary resources for use at home. Contact hi@coderdojo.ca with any questions about accessibility or if you have any questions about our session resources. On Sunday, October 26th is photo editing and halloween at CoderDojoTo. MENTORS – Sign up at the mentor registration here. For this session we will be using the free multi-platform, open-source, photo editing software GIMP. GIMP is an acronym for GNU Image Manipulation Program. It is a freely distributed program for such tasks as photo retouching, image composition and image authoring. It has many capabilities. It can be used as a simple paint program, an expert quality photo retouching program, an online batch processing system, a mass production image renderer, an image format converter, etc. On Sunday, September 21th, CoderDojoTO, Autism Ontario Toronto, and Bitmaker Labs will be joining forces for a kickoff coding session, and we’d like to extend the invitation to you. Autism Ontario Toronto Chapter: The leading source of information and referral on autism and one of the largest collective voices representing the autism community! Bitmaker Labs: a coding bootcamp for software design and development. To give children an opportunity to learn the fundamentals of web development, in a safe and supportive environment. This is a free event. Lunch will also be provided. Spots are limited, so RSVP today! The deadline for student signups is September 8th. If you have any further questions you can direct them to Lidia Sienkowska: lidiasie@me.com. To prepare for the upcoming partnership event with Autism Ontario, we ask our mentors read the Austim Ontario training document to better understand what to expect. The session format has been posted on our website. Code, in computing, is program language. 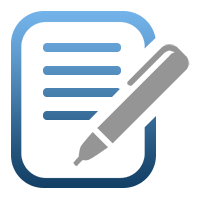 There are many different types of program languages used by different software and hardware. Just like the many human languages, program languages have rules to follow and spelling to consider. They also allow you to get creative within those rules. Unlike human languages, different program languages can work together to create more powerful programs. Sometimes, one program language can greatly enhance another. Before we can write our poetry with code, we must first learn some of the rules. You guessed right if you guessed that these languages work together. Markup is what gives a web page it’s structure. HTML (or, Hyper Text Markup Language) is the old reliable champion of web markup. Every web browser is built to read HTML, though different browsers can read things slightly differently. Think of a web page as a human body, it has different parts that do different things. Markup is like the bones. The DOM, in a nutshell, is an object. In code, you can picture an object like a family tree. There are parents and children and grandchildren nodes, and they all have names and are unique. The only difference here is that there will only ever be one parent. Let’s pause and look around with Mozilla’s X-Ray Goggles tool. This tool is similar to more advanced developer tools, and it is performing an action called traversing the DOM. It can be used to perform interactive tasks like popping up a slideshow gallery when you click a thumbnail image, or switch tabs within a web page. It can also be used to send and receive data in the background, silently, as a user interacts with the program. Keep in mind, all things in the browser run on your computer, relying on your resources to do the work. This is known as ‘client-side’, browsers are the client. Some examples of server side code are PHP, and Ruby. Similar languages, different manufacturers. There is a performance trade-off coding for server vs client, tip for all the future pros in the room. In this special Open-House session we are inviting new and existing students to learn about web development code on free, fun and intuitive online platforms. For students who have already explored the basics, our mentors will be on hand to answer any questions about how code works together, provide instruction on how to continue working at your own pace, and show you tips and tools to make development easier. We strongly recommend to complete the first lesson of HTML & CSS basics at Codeacademy.com. Bring your laptop, or let us know if you need one. *Bitmaker Labs is a code academy for adults. It is located up a small flight of stairs. Wheelchair access is unfortunately not available at this time. Visit coderdojoto.com to download supplementary resources for use at home. Contact hi@coderdojoto.com with any questions about accessibility or if you have any questions about our session resources. Bitmaker Labs is hosting another Intro to Web Development session! If you are free this Wednesday, we encourage you to attend. A laptop with a text editor and an internet browser.